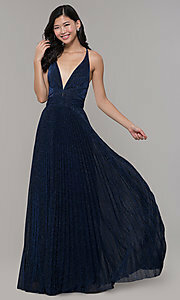 Glimmer in this beautiful blue prom dress by PromGirl. In navy blue glitter-knit fabric, this long formal dress shimmers with every turn. With a nod to vintage styling, a floor-length full pleated skirt complements the sleeveless bodice of this long blue dress. 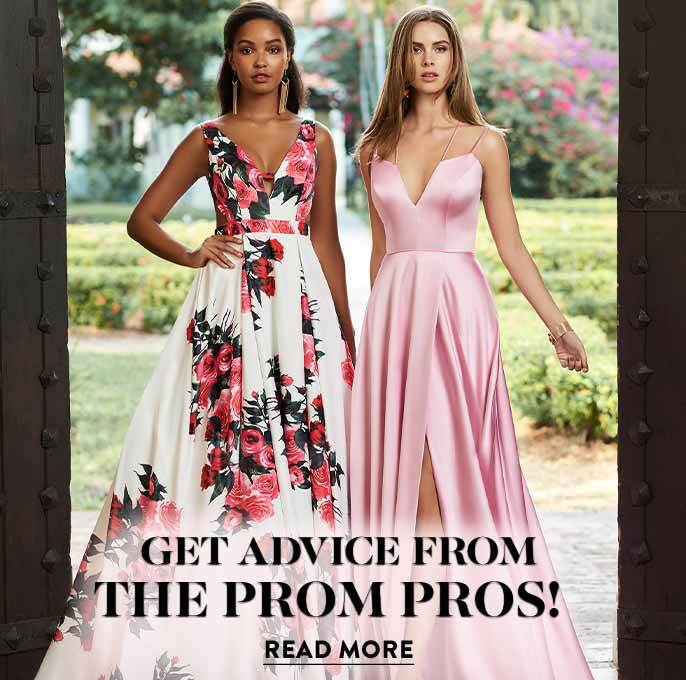 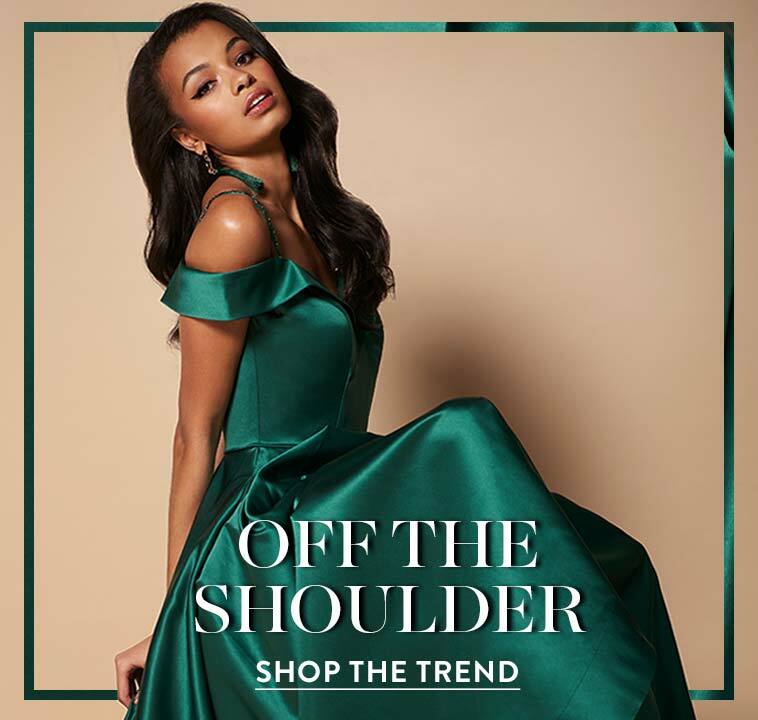 The v-neckline plunges to the waist while the adjustable spaghetti straps cross the open back and tie in a dainty bow just above the waistline of the skirt. 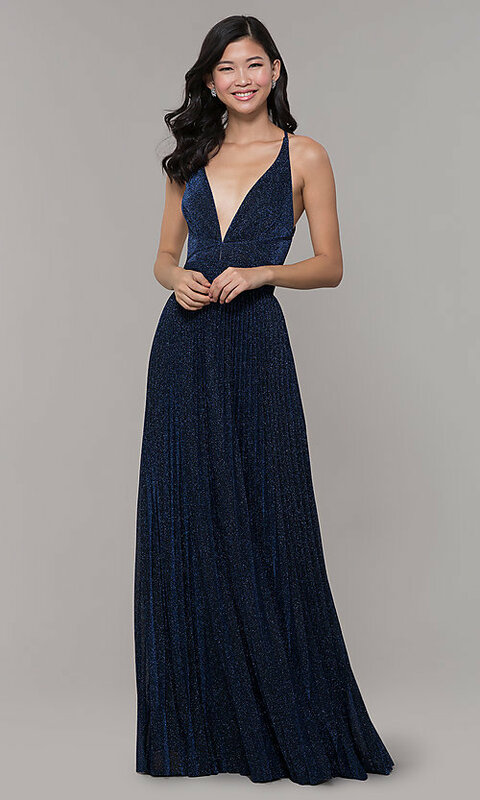 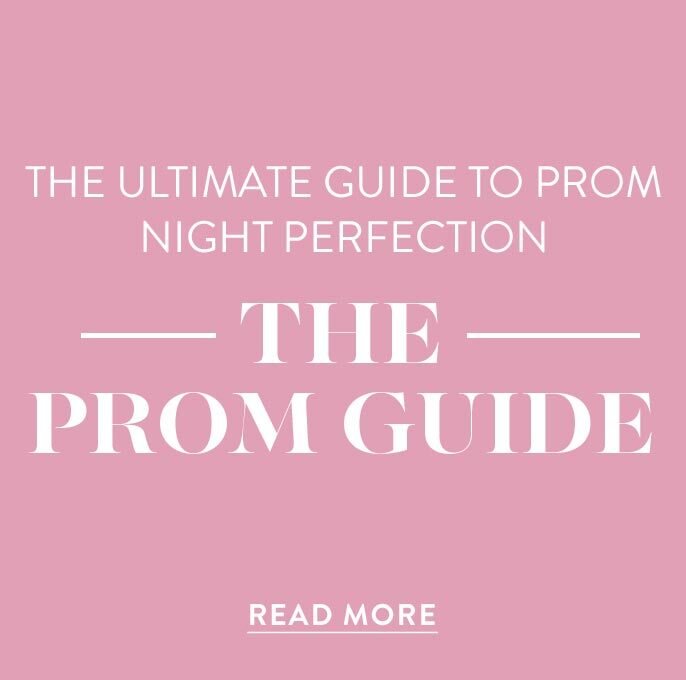 Stay on budget and in style, for prom 2019, a gala, or a military ball event when you slip into this navy blue glitter prom dress, under $150.